Important Questions To Ask Your Photographer Before You Invest! You’re engaged!! The planning has begun. If you’re thinking about how you can ensure you have the right photographers for your Best. Day. Ever! consider a few things. After all, this day will be one of the few dates you remember forever, with only your memories and photographs to look back on. A few things to consider to protect the most important things on your day. It’s also good for your peace of mind — know you’re in good hands with trusted professionals, and avoid the nightmare of alarming things like “I didn’t get that photo” or you never get your photos or album that was promised. Worse yet, your photographer doesn’t show! This isn’t to alarm you, these are just things we have heard over the years and it’s unfortunate. It breaks our hearts!! The most important questions you will want to consider and/or ask the photographers you are considering for one of the most important days of your life. 1. What exactly am I getting in this package? You will want to know exactly what is included OR worse yet, what is NOT included in your package or whatever terms you agreed upon. Does the time they have committed to include travel time from ceremony to reception if in two different locations? Do I get all my photos, some of my photos, a specific number of photos? Are they ALL fully edited, high resolution images? Am I going to have to choose which ones I want and how many of those are edited? Are there extra cost with upgrading products, like keepsake albums (additional pages, engraving, etc.)? Do you get photos of all the details, like the decor, tables and rings. This will also tell you if they have an assistant, a second photographer and when a second photographer is necessary, and more! 2. Have you photographed in this venue before? This actually shouldn’t matter. I know you may think it does but it doesn’t! Let me explain further. If a photographer is a good photographer, it won’t matter if they have taken photos of another wedding in that venue before. A professional photographer is naturally creative! They will actually have a fresh eye on backgrounds, places to take photos and much, much more! Also a photographer should ALWAYS visit the venue PRIOR to the wedding scoping out locations for photos, backgrounds, lighting, sun placement, shadows and more. In fact, this is a good time to do a walk through of the venue with your photographer approximately 30-45 days prior to your Best. Day. Ever! If your photographer doesn’t plan on any of this, then they may not be a good fit. However don’t close your mind to only choosing a photographer who has photographed the venue before. It shouldn’t even be a consideration when choosing a photographer. Besides, the time of day, the lighting, the sunset, the weather, the couple…. all things change. Look at this photo we got the first time we ever photographed a wedding at Tom Hans Lighthouse. These colors are real ladies! Pinky Swear! 3. Who is the photographer who will actually show to take photos? Great question! Are you hiring a photographer that works with a team of other photographers? Make sure, make sure, make sure, you know who is planning on showing up. This is critical. This is the photographer you are sharing all your plans with for that day. The person who should be taking notes on what photos you want, what part of the venue do you love the most, critical moments during your day that you want captured. Are they actually the ones coming to take the photos? And if so, what happens in the event of an emergency? Who shows then? Do they have a contingency plan? If they do, how will they get all the necessary information and vision communicated? 4. How long will it take for me to get my photos after my Best. Day. Ever!? 5. Do you guarantee your services with 100% customer satisfaction? I actually don’t know of ANY photographer that does this! Well, except for Mike and I :). Why other photographers don’t do this is because they are in the photography business. We are in the people business. An average photographer isn’t invested in your marriage. They are collecting a paycheck. They collect your deposit, then see you MAYBE 1 or 2 times before and then on your day. This is a whole other can of worms we can talk about later BUT this is not an investment into your life or marriage. This is a job. I won’t apologize for my directness on this topic because I’m passionate about it. This is where I will tell you the difference between a paid photographer and investing in a photographer. Investing in a photographer that wants to provide and experience with a spirit of excellence will make all the difference in the world. You may not think so now but do you want to look back on this day and have any regrets toward the photographer you chose? I think not! This is the one thing that will remain after all the cake has been eaten, the music has stopped and the honeymoon is over. These are the photos that you will share when all your friends come over for dinner and game night. These are the photos that your children will look at while sitting on your lap and saying “ewe” when they see mom and dad kissing. And don’t forget the grandkids! As you advance in years, your grandkids will want to see what grandma and grandpa looked like all those many years ago and to see your wedding photos will instill family values in them. And they will say how funny your hair looked all those years ago and you will giggle together. 6. How many other weddings will you photograph that day / weekend? If you think your day is all about you when it comes to hiring a paid photographer versus investing in a photographer, then think again! Paid photographers are trying to squeeze wedding in after wedding. This is common when hiring a photographer for a small fee. They can’t live on that. I once heard about a photographer who agreed to do a wedding in Las Vegas for $80! And yes, he said he would have to “squeeze” her in that day. No! No! No! Your day should be set aside for you and you only. This is one date out of maybe 5 you will remember forever. You will celebrate this day every year for the rest of your life with your best friend. 7, 8 & 9. What is your style? How many weddings have you photographed? Have you photographed a wedding like mine? Instagram and Facebook will have more of their work, behind the scenes, and some information about them. You will get a feel for who they are and if you think you would be a good fit. Please, please, please check Yelp! and Google for reviews. What are others saying about them? This is so important. And if you want to know more, and you want to meet with this photographer after reviewing all this, then simply ask to have coffee with them. Once you are 90% sure you would like to hire them….. ask them to share some references. Then you could talk with a few brides and get all the goods. The photographer shouldn’t mind and brides LOVE talking about their Best. Day. Ever! Besides, you might get a few good ideas from a bride who already got married! It never hurts to ask them how long they have been in business. All of these things will help you determine how vested they are in themselves, their business and more importantly YOU! The photographer you invest in will be a clear indication of the value YOU put on your memories. Ladies….. please don’t settle on this or any of these truths mentioned. And once you have decided you have found the one photographer you can’t imagine your wedding without, then there are some technical questions you don’t want to forget if it hasn’t already been covered in your talks. You can get those questions here! If you are still with us…. allow me to paint a picture of what you should expect from your photographer. Whether it’s with us or someone else! We want you to look back on your Best. Day. Ever! and remember nothing but love and fun and joy! The Mike and Jenn Experience goes beyond taking your photos and this is why we are so passionate about the questions above and much more. We are a dynamic force of creativity and fun that focuses on every detail and exist to serve brides with an experience that creates an environment for you to be the best version of yourself. We guarantee that your photos will tell a story of your Best. Day. Ever!, alleviating any concern that every part of your day will be captured and remembered for years to come. Here are some of the things that are included in the Mike and Jenn Experience (cherry on the top)……..
We walk through the season of planning your day with you. It’s true! Consider us an extension of your bridal party. Anything you need, we are there. All our couples come to consider us family, sometimes even before their wedding day! You will want to join us for our annual summer BBQ too! A run sheet of the day. This is something your event planner, if you choose to have one, would normally do. And we’d be happy to work with her and all your other hired professionals to include their part of the day as well. This is a bonus with us! It will have all details on when we are taking photos, and a list of the photos that must be captured. This is the list that you give us when completing your wedding questionnaire. But don’t fret…. you won’t have to worry about knowing when to be where. We will do it for you!! We keep in touch with and take care of your other hired professionals, encouraging them to contact us if they have any needs. Especially on the day of…… we don’t want any issues to arise that would jeopardize how much fun you are having! In addition, we take photos of their work and provide them AFTER you have had a couple of months to enjoy them yourself. This way they can have lots of photos of you to share with other couples. We love helping other businesses grow too!! Lots of little surprises throughout your planning and beyond! This the part of the Mike and Jenn Experience that well….. you just have to experience for yourself. We are Mike and Jenn Photography. We love love. We like to enjoy life. We believe in marriage and that it is forever. We enjoy doing life together. If you want to know more about us, we’d love to hear from you! You can visit us here, here and here. Oh and don’t forget to check what others are saying about us on Yelp! and Google. We want to hear a more about your day and we’d be happy to help you tailor your photography and other needs for your Best. Day. Ever! We’re here to help you…. even if you choose another photographer. 🙂 Because the best fit matters the most! Author mike & jenn photographyPosted on March 5, 2019 March 5, 2019 Categories WeddingTags attention to detail, behind the scenes, Best.Day.Ever!, congratulations, creative, details, engaged, experience, experience the difference, fun, guarantee, important, important questions to ask, memories, mike and jenn experience, mike and jenn photography, photography, photos, professional photographer, questions, ring, spirit of excellence, tom hams lighthouse, venue, Wedding, wedding photographer, wedding photography, wedding ring, wedding venueLeave a comment on Important Questions To Ask Your Photographer Before You Invest! needed to build flourishing and thriving businesses. If you haven’t read his new book yet…. “Build, Grow, Scale, Repeat”, then head over to his FB page here and get yourself a copy! small business failure. Deep I know!! If you want to know more about Dr. Stephen or even meet him, because well you should, then check out his Linked In profile. Don’t forget…. Smile. Enjoy life. And go after your vision with a purpose! 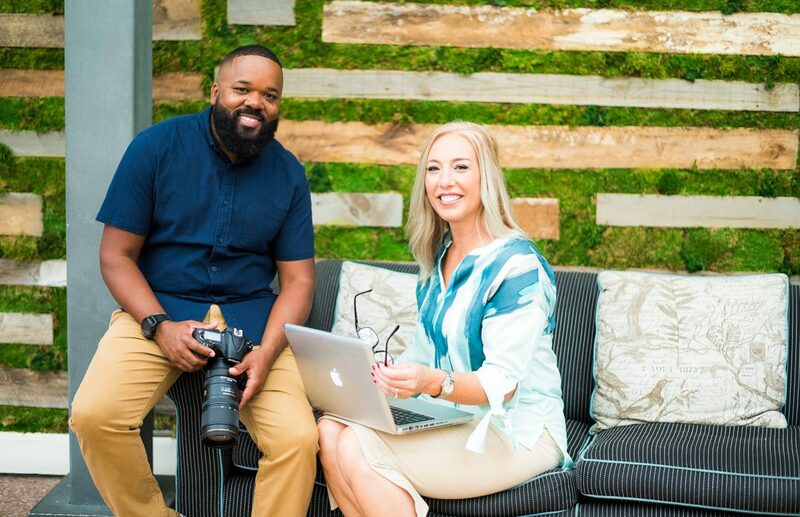 Author mike & jenn photographyPosted on February 28, 2019 February 27, 2019 Categories Business, GeneralTags behind the scenes, boss, bts, Business, business doctor, entrapranuer, GQ, leadership, marketplace giant, mens fashion, notariety, photographer, photography, tv, tv show, unstoppable, visionaryLeave a comment on Businesses needs doctors too. Everyone has talents and gifts. Some are athletically talented. Some can belt out the high notes while singing the National Anthem. And some are creative. That is where Megan from Pearl and Pen comes in. She is simply creative. With her meek personality, she surprises you from listening to old soul and R&B to her quirky little sense of humor. It’s then you know there is gold in her. Not just her creative edge but something else. Something else that makes you warm up to her, wanting to get more of a peak of her personality, and what makes her so creative and her overall presence. This is Megan……. Catching moments of her personality became easy once we spent some time with her. And then that is when you see it! The smile. The sweet side and then….. the fun attitude! You can see Megan’s work on Instagram but I highly recommend you reach out to her. Because whatever you see is not a clear picture of all her amazingness! From designs to weddings. In fact you will want to visit her website to see all that she does and more because we couldn’t do it justice. She truly is talented and gifted!! This is Tim and Lauren. When we first met them, it was clear. They were so in love. So synched together. So fun. And so unoffendable. It was like they were an old married couple. And that is how they describe themselves too! Having them over for their preview of their Best. Day. Ever!, we got to hear all about their first few months of marriage, reminisce about their wedding day and hear all the amazing details of their honeymoon cruise to the Mediterranean. We are so glad to have been a part of it and to hear all about the beginnings of their life together! We are certainly looking forward to dinner and a game at The Martinez home in the near future. We just photographed our biggest wedding of the year in every way possible. And what a treat! Bradford and Brianna are number 1. Adorable. 2. The love in the air was undeniable. 3. Their family and friends shared in a moment what will never be forgotten. Thanks to Christina, a very savvy business woman, who used to be an event planner, we met Bradford and Brianna. I mean just look at her and her boo! You can’t help but want to hug and snuggle her!! Meet Matt and Christina Clark. Now to the stars of the blog….. You could say they were sweet, calm and just happy to be planning their Best. Day. Ever! The kind of couple that knows what they want and they happily go after it, making every provision necessary. Just wanting to have a big party for their friends and family was all that mattered, and maybe a little ceremony in between 🙂 They made it all come together! Bradford is just a big teddy bear and when it comes to his new bride, he would do anything for her. And he makes her laugh!! And he makes her smile…..
2018 was a good year for Mike Edwards Photography! As our business, marriage and life in general continues to grow, so will our vision and goals. In the spirit of reflection, here are some updates and exciting new things to come! CHANGES. Mike said goodbye to his science j.o.b. Because let’s face it, that’s what it was, a j.o.b. Although he was good at he what he did…. the passion was missing. We are thrilled that he can focus more of his time of the photography business, his passion, and perfecting his craft. BEST. YEAR. EVER!! We had our best year yet here in San Diego! Because of you, our faithful clients, we are hitting goals and impacting the lives of happy couples all over San Diego. Our heart and vision is to provide an experience. We care about our couples. We care about marriage. More importantly we care about walking through your season with you. Be it planning your BEST. DAY. EVER! or simply adding to your family with a new baby! Maybe it’s just a special time with family. Either way, we want to get to know you, provide a comfortable atmosphere and simply help you become the best version of yourself. So if you’ve experienced the difference with us, you know! And we want to thank you for spreading the word. HONORABLE MENTION. Lastly as we reflect on a good 2018….. I had the honor of being elected president of the networking group we are not only a part of but passionately pursuing. BNI is an international group of professionals, just like us, that believe in helping other businesses grow. By developing strong, trusted relationships with others, we are able to provide a service to our clients that most are not able to do. And that is refer you to the best people in their field, no matter what your need is. If you need a professional in your life, business or in general, please don’t hesitate to ask us! We will be able to refer someone to you. Someone we know. Someone we trust. Businesses we use ourselves. Included in that is a group of wedding professionals that we are so very grateful to have. I humbly accepted the role as president and plan on doing everything I can to make a difference in the lives and businesses of others. If you need a hair stylist, massage therapist, attorney, life insurance and more….. please give us a jingle and we would be happy to connect you! Author mike & jenn photographyPosted on January 5, 2019 January 5, 2019 Categories GeneralLeave a comment on 2018 was a good year! To me, beauty and makeup and color is like the finishing touch on everything. -Marc Jacobs ••••••••••••••••••••••••••••••••••••••••••••••••••••••••• #mikeedwardsphotography #sandiego #weddingphotographer #portraitphotographer #wedding #makeup #gettingmarried #weddingflowers #weddingring #weddingshoes #weddingwire #weddingbells #weddingdetails #diamond #beautiful #portrait #portraits #christianlouboutin #portraitphotography #weddingideas #beauty #nikon #weddingday #weddingring #weddinghair #weddingdesign #weddingshoes #weddingfun #weddingblog #weddingphotography ••••••••••••••••••••••••••••••••••••••••••••••••••••••••• Pro Tip: Hire a professional! This is your Best. Day. Ever! Don’t skimp, instead invest in yourself. Of course my bias is going to tell you to hire a professional photographer. You know, someone who actually does it for a living. You should also hire a pro makeup artist. You’re worth it! mike & jenn photography Blog at WordPress.com.